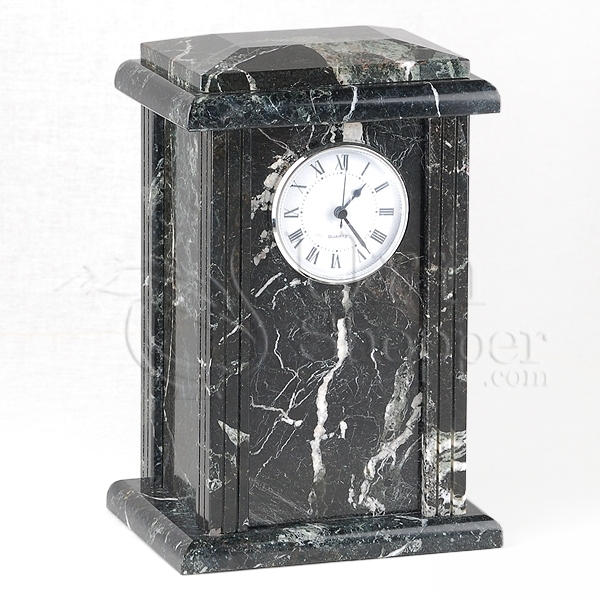 The Black Grain Tower Clock cremation urn is crafted from natural-quarried marble in the shape of a cube. 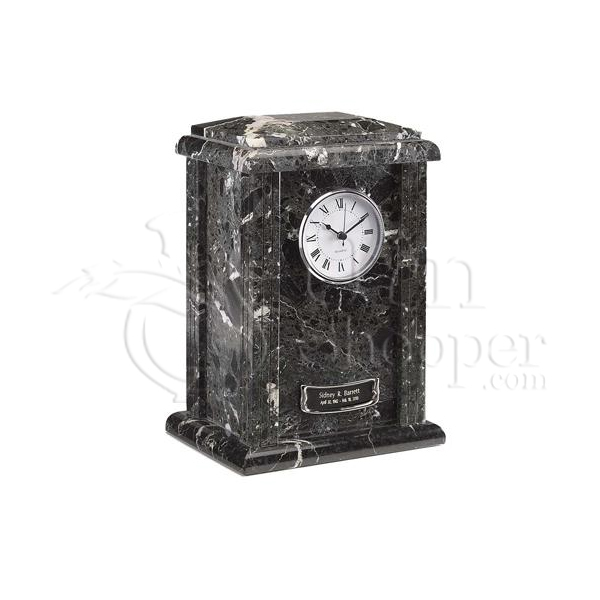 It has an AA battery-operated clock with Roman Numerals and Quartz movement. 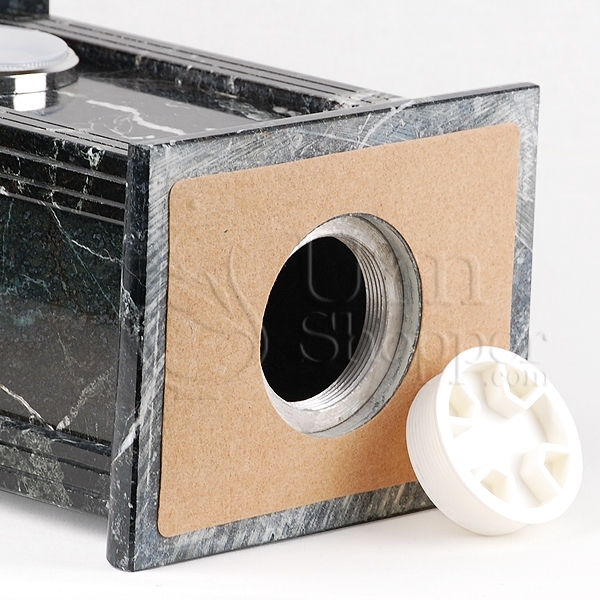 This urn is sealed closed using the bottom-opening stopper. 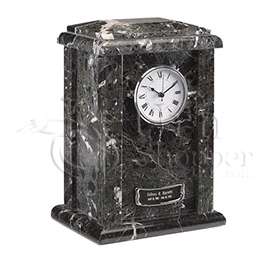 The Tower Clock urn is designed to offer safe a place keep the ashes, or cremated remains, of a deceased loved one or friend, and also blend in naturally and discreetly with regular home décor. 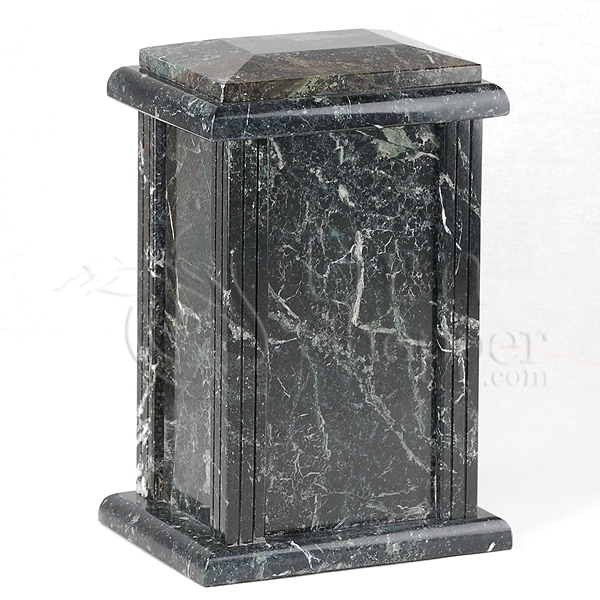 After all, it is said that home is where the heart is.